Words cannot do the view at Jumping Off Rock justice. Photographs, as stunning as they may be, also do not suffice. This truly is one of those extraordinary places that you have to see to believe. Jumping Off Rock is also not an easy place to get to, so the view may be all the more appreciated for the effort that it takes to get there. Jumping Off Rock, the hallmark view of the Jocassee Gorges, offers a stunning panorama of Lake Jocassee and the surrounding mountains. When seen in a photograph, the view looks like an image shot from an airplane. Jumping Off Rock is also one of those rare places in South Carolina where little of the hand of man can be seen for miles and miles. Ironically, Lake Jocassee, flooded in 1971 as part of the Keowee-Toxaway hydro project, is itself man-made - beneath the more than 300 feet of chilly, emerald-green waters lie the once free-flowing Toxaway, Horsepasture, Thompson and Whitewater rivers. This journey begins at the intersection of SC Highway 11, the Cherokee Foothills Scenic Highway, and US Highway 178, at Holly Springs Country Store. Many locals and visitors consider this popular general store as "Center of the Jocassee Universe," at least on the Pickens County side. This is the last store you will see for quite some time, so if you need gasoline or snacks and drinks, definitely get them here. Before leaving Holly Springs, make sure the vehicle you are using for this trip has adequate clearance. 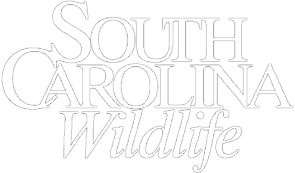 Four-wheel-drive vehicles are not necessary for the interior roads of Jocassee Gorges, as S.C. Department of Natural Resources wildlife technicians have done much to improve these roads during the past nine years. However, the roads are still primitive and not suitable for many vehicles. Plan on allowing at least a half-day for this voyage, even more if you want to explore a bit while you're up there. Also check the date to make sure the gates are open to the interior Jocassee roads. The green gates are open for vehicles during the fall and winter, September 15 through January 1, and again in the spring, March 20 through May 10. One of the reasons for the summer closure of roads to vehicles is to give wildlife populations, such as black bears and migratory songbirds, a break during summer breeding season. Of course, you can make this trip any time of year on foot, on mountain bike or on horseback. For stunning views all the way up the mountain, choose a date in winter or early spring when the leaves are off the trees. Take US Highway 178 toward Rocky Bottom and Rosman, N.C. From the intersection with SC Highway 11, it is 8.1 miles on Highway 178 until you will turn off into the hills. Along the way, you will pass a sign on the right side of the road that says "Entering Jim Timmerman Natural Resources Area at Jocassee Gorges." Timmerman, former director of the DNR who passed away November 12, 2005, was one of the key figures in the state's acquisition of the Jocassee Gorges property in 1997. The 33,000-acre tract of land in South Carolina was named after him in 2000. Just past this sign on the right is Camp Adger Road, the eastern-most access to Jocassee Gorges. 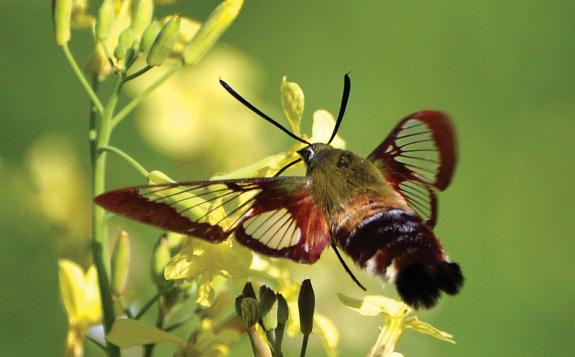 At 7.1 miles from SC Highway 11, pass through the sleepy community of Rocky Bottom. Keep going for another mile on Highway 178 until you cross Eastatoee Creek on a concrete bridge. Turn left here on the gravel Horsepasture Road, at a sign for Laurel Valley Lodge. (From where you turn off Highway 178, it is 9.8 miles to Jumping Off Rock via Horsepasture Road.) Take the right fork onto the gravel road; the lower paved road leads to the DNR's Jocassee Gorges field station and Laurel Valley Lodge. Be careful on the narrow Horsepasture Road - stay to the right side of the road, observe the 15-mile-per-hour speed limit, and be cautious driving around blind curves. In about .25 mile, pass the Foothills Trail parking lot on the left. From here on the Foothills Trail, it is about 15 miles east to Table Rock State Park, and about 61 miles west to Oconee State Park. Continue through the green gate on Horsepasture Road past the parking lot. In another .25 mile or so, pass Eastatoee Creek Heritage Preserve on the left, another great destination for a field trip. At about 3.6 miles from Highway 178, you will reach a fork in the road. Horsepasture Road is open year-round to this point. The left fork is a short dead-end road that can be used as a parking area. When you take the right fork uphill about .06 mile to Laurel Fork Gap, continue straight through a green gate across a causeway. Note a sign on the right for Laurel Fork Heritage Preserve. The grade of the road steepens considerably for a short distance after Laurel Fork Gap. Visitors will pass several red-gated roads on the way up to Jumping Off Rock. While these roads are not open to vehicles, they are available for non-motorized forms of travel such as hiking, mountain-biking and horseback-riding and are definitely worth exploring. Prescribed burning has been taking place along this stretch of Horsepasture Road. State land managers have reintroduced fire to the Jocassee region to improve wildlife habitat and reduce the danger of wildfire. At 8 miles from Highway 178, the world seems to drop away on the right. This is the North Carolina Overlook. As stunning as this view is, you're still not to Jumping Off Rock, but pull over here and take a look. 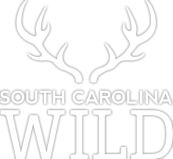 The S.C. Bear Hunters' Association recently erected a stone bench at this location. The dark-green trees in the distance are Fraser firs, and these are growing near the Blue Ridge Parkway, which can be seen from the overlook even though it's about 40 miles away. Dawkins Flat Road comes in from the right about a mile farther on. This road travels down to Laurel Fork Creek at the intersection with the Foothills Trail, and to within about a half-mile of Laurel Fork Falls. Continuing on Horsepasture Road, you'll see Gantt Field campsite just down the road on the right. This is an old homesite and a popular camping area for bear hunters during the black-bear season the last two weeks of October. The distinctive dark-green leaves of Oconee bells carpet a streambank to the left of the road. 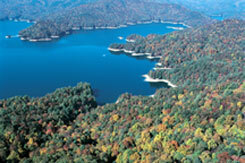 The hallmark plant species of Jocassee Gorges, they bloom from mid-March to mid-April. Just past Gantt Field is Bully Gap, and coming in from the left is Cane Creek Road. Remember this road, as we will take it on the return trip to make this something of a loop drive. At this point, we are about three-quarters of a mile from Jumping Off Rock. In about a half-mile, pass a helicopter-landing pad on the left. This large field could be used for choppers to touch down in case of wildfire or search-and-rescue operations. Another .25 mile or so down the road, look for trails going off to the right and a small pull-off area for vehicles, also on the right. You have finally arrived at Jumping Off Rock! Before heading out onto the rock face, be sure to warn family members and friends to exercise extreme caution - there are no cables or other barriers along the rock, and a fall from these heights would mean certain death. The trail from the parking area leads to one end of Jumping Off Rock. This view is spectacular enough, but the view at the other end is even better. You can walk along the rock, but it's a safer walk to head up and through the woods. The view is, quite simply, breathtaking. The jewel that is Lake Jocassee is framed on all sides by an impressive array of mountains in both Carolinas and in Georgia. No one knows for sure where the name Jumping Off Rock came from, but one of the popular derivations goes that a bear hound was in hot pursuit of a black bruin when the canine flew off the rock face. After getting your fill of the magnificent view, turn your vehicle around and head back the way you came. After just a little more than a half-mile, turn right on Cane Creek Road. This way is not much shorter - 9.3 miles to a paved road versus 9.8 miles via Horsepasture Road - but it does offer some different scenery on the return trip. The only place where it is possible to take a wrong turn on the return trip this way is at 7.1 miles from Jumping Off Rock. Here you will turn left from Cane Creek Road onto Shooting Tree Ridge Road. (No worries - if you keep following Cane Creek Road, it will dead-end, so you will have to turn around and go back.) A portion of the Shooting Tree Ridge section of Jocassee Gorges was logged in 2004 to thin out a pine plantation, and wildlife-viewing areas were established in some places where Southern pine beetles had killed most of the trees. Some of this area underwent a prescribed burn in 2005. At 9.3 miles from Jumping Off Rock, reach Cleo Chapman Highway, a paved road. Turn right on the paved road and take the first paved road to the left, then merge with Roy F. Jones Road, which will take you back to SC Highway 11. Turn left on Highway 11, and it is 4.9 miles back to the intersection of US Highway 178 at Holly Springs Country Store, where our field trip began. 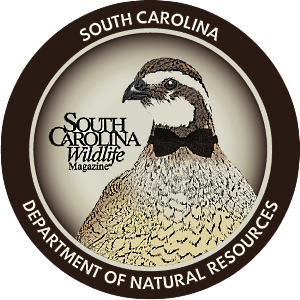 Greg Lucas, stationed at the S.C. Department of Natural Resources' Clemson office, is a conservation educator, recreation specialist and field editor for SCW. Field Trip acknowledges with gratitude the assistance of Pickens County naturalist (and frequent SCW contributor) Dennis Chastain. For more information, contact Greg Lucas at the Clemson office at (864) 654-1671.